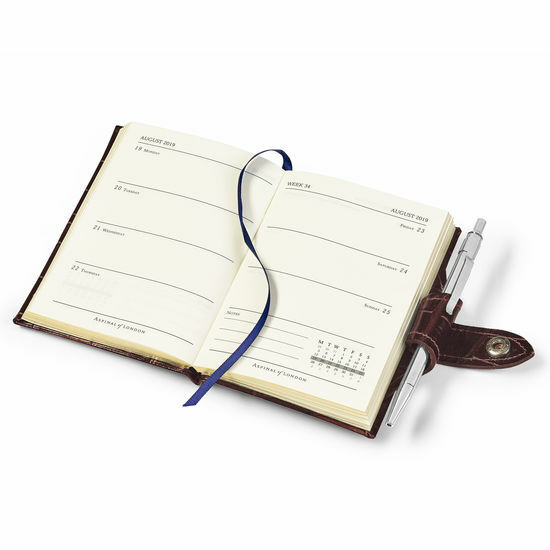 Elegant and practical, our Mini Pocket Leather Diary with Pen makes staying on top of your busy schedule simple. 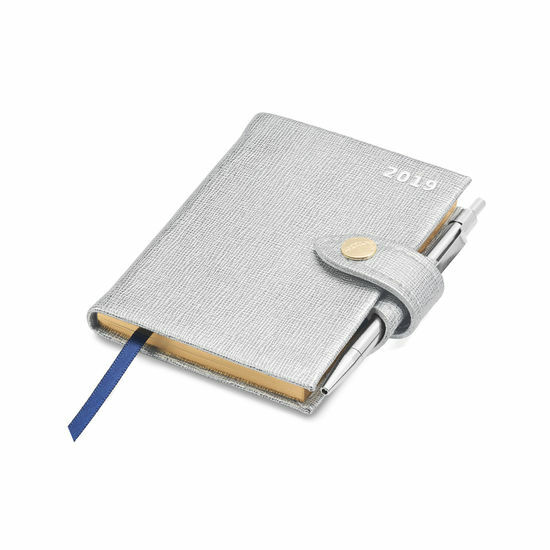 Our master leather and bookbinding craftsmen and women have meticulously hand-bound the decadent accessory in the finest quality Italian calf leather. It features a timeless silver shade as well as a textured and hardwearing saffiano cross-hatch finish. 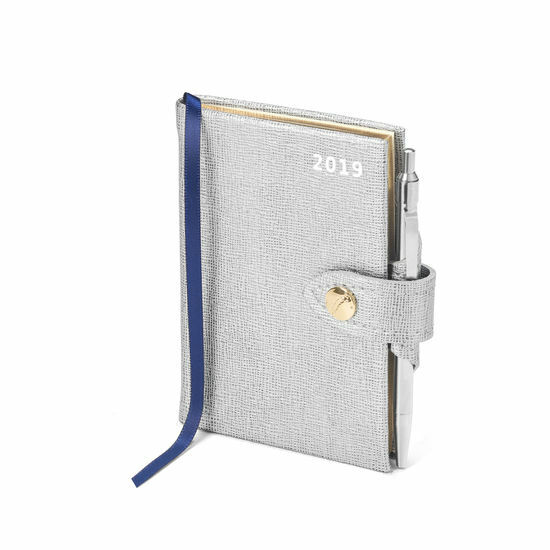 To note down all of your important appointments, simply take the metal pen out of the secure leather loop and open up your diary to one of the weekly spreads. The gold gilt-edged cream pages are buttery soft and include plenty of blank space for additional notes. Make it your own by personalising with up to four initials. Petite and lightweight, it is an on-the-go essential.